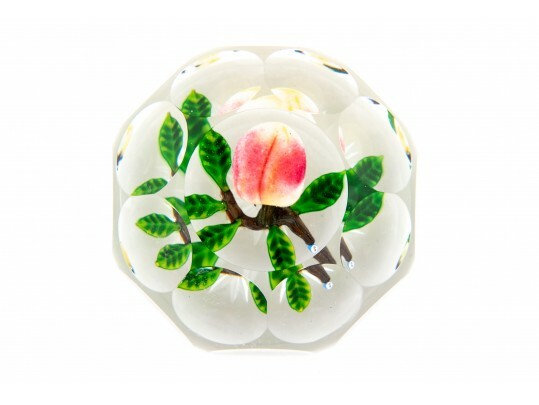 Paperweight with 24 facets giving a clear view of the suspended peach branch, star on beveled base. Signed on cane DT. Purchased from Leo Kaplan Ltd., Madison Ave., NY for $1100 in 1991.